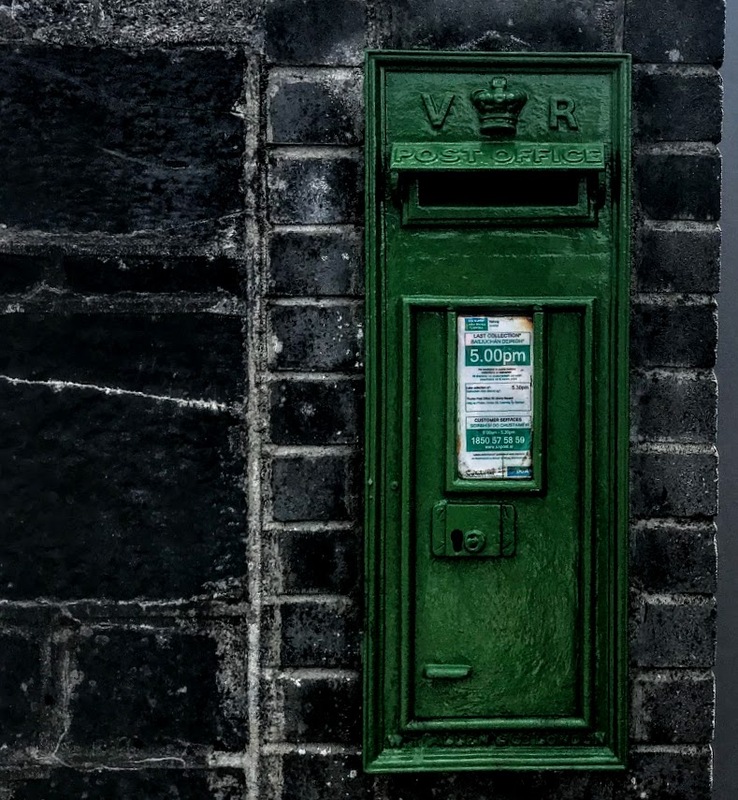 My day-week trip to Thurles, Co Tipperary, was by train and was made easy by the regular train link between Limerick and Limerick Junction that connects with the Cork-Dublin route. I was surprised to learn there is no direct bus service between Limerick and Thurles, but the train journey also gave me time to appreciate the story and architecture of Thurles Railway Station, which was built 170 years ago, and which was an interesting link with the West Limerick nationalist leader William Smith O’Brien of Cahermoyle House. 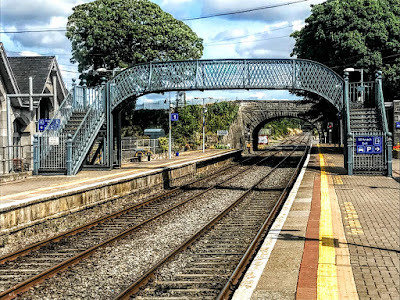 The railway station and the footbridge in Thurles were built in 1848. The station is an asymmetrical multiple-bay single- and two-storey building. The entrance façade has three central bays, flanked by slightly projecting gabled bays with projecting bay windows, and with single recessed bays to the north and south. There are pitched slate roofs, ashlar limestone chimneystacks and timber bargeboards. The eastern elevation facing the railway tracks has two tall pointed arched openings flanking a lower central one, in turn flanked by a recessed three-bay waiting room and a toilet block to the south and a one-bay office to the north. There are snecked ashlar limestone walls with a plinth. There are chamfered canted arch window openings and triple square-headed window openings with continuous hood mouldings to the entrance façade, with timber sash windows and some replacement timber windows. The partly-blocked triangular-headed former door opening in the entrance façade is flanked by carved pilasters. A later ticket office has been inserted inside the trackside elevation. This building was designed by the English-born architect Sancton Wood (1815-1886), who also designed Colbert Station in Limerick and Heuston Station and Kingsbridge, Dublin, as well as stations in Kilkenny and Portlaoise. Sancton Wood was born in Hackney, the son of John Wood and Harriet Russell, a niece of the painter Richard Smirke (1778–1815). He first worked in the office of his cousin, the architect Sir Robert Smirke (1781–1867), who rebuilt Covent Garden Theatre in 1809 and who is best known for the General Post Office in St Martin’s-le-Grand and the British Museum. Later Wood worked for Robert Smirke’s brother, Sir Sydney Smirke (1798–1877), who restored the Temple Church and the Savoy Chapel and completed the British Museum. Wood studied in the Antique School at the Royal Academy before travelling on the Continent, where he spent much time in Spain and Portugal and made drawings of many significant buildings. On his return to England, Wood set up his own practice, designing stations for the growing railway networks in British and Ireland. He also designed houses in London, including some at Lancaster Gate. In 1844, Wood presented drawings for railway stations for the Great Southern and Western Railway Company in Ireland. A year later, in 1845, he won the company’s competition for designing Kingsbridge Station in Dublin. His design was selected unanimously by the company’s London committee, although the Dublin Committee had favoured the design of John Skipton Mulvany. That year, Wood was also appointed architect to the company. 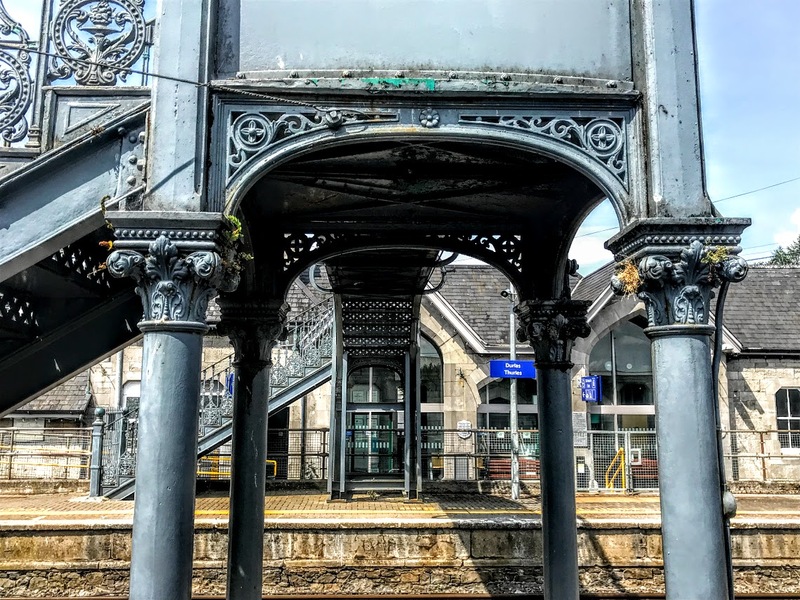 He designed the stations between Monasterevin and Limerick Junction, all in a gabled picturesque Gothic style. He was also architect to the Irish South Eastern Railway, which developed a line from Carlow to Kilkenny in 1848-1850. The multiple gables and broken massing of his station in Thurles are typical of the Gothic Revival style. The variety of styles of openings is also typical of railway buildings, with his pointed arches, square-headed openings and chamfered openings. His station in Thurles forms part of an interesting group with the other railway structures built by the Great Southern and Western Railway, including the footbridge, road bridge, workers’ houses, and waiting room. The railway foot bridge, also built 1848, has a cast-iron depressed-arch with latticed parapets, and is supported on cast-iron columns with ornate foliate capitals. There are cast-iron staircases with latticed sides and decorative stair risers, cast-iron balusters and ball-topped newel posts. The steel girders of a later date support west staircase. This foot bridge is of high artistic value, with its decorative foliate motifs on the balustrades and the foliate capitals to the cast-iron capitals. Shortly after Wood’s station opened in Thurles, the Young Ireland leader, William Smith O’Brien (1803-1864), was arrested there at 8 p.m. on 5 August 1848 while he was trying to board a train after leading the failed insurrection in Ballingarry in South Tipperary. 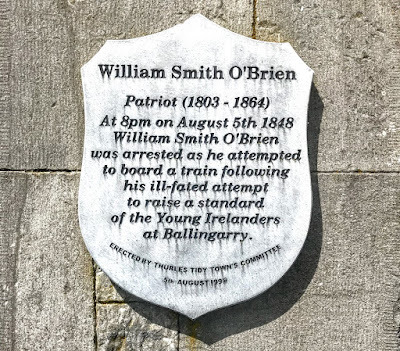 Meanwhile, Wood’s work in Ireland seems to have come to an end by 1856, the same year William Smith O’Brien was pardoned and allowed to return to Ireland. Smith O’Brien died in Bangor in North Wales on 16 June 1864; Sancton Wood, who had returned to live in London, died at his home at Putney Hill on 18 April 1886. This was a very interesting find especially as I shall be in Thurles for three days next week. I'm staying at the Hayes for one night - and you are right they do still call is Hayses. My family come from Cloughmartin a very short distance from Thurles. It's lovely to see someone giving their time to promote the town. It doesn't get that much positive press. I agree about the square though.